One success driver for companies to grow their top line revenue is the accurate management of their sales forecast. A sales forecast is a leading business driver that when used correctly, increases corporate cash flow, accelerates operational success, and allows companies to manage their business model by proactive metrics, not reactive emotion. or improperly managed . . . companies fail. So why do many companies manage their business revenue forecast as if it was an after-thought? Sales forecasts are incorrectly managed for multiple reasons, including lack of business understanding of their value contribution, lack of sales management controls and insufficient training and guidance for the sales team of why executive management needs accurate input. When your sales forecast is wrong, all of your other departments are adversely affected. Management pulls unscrubbed sales forecasts directly from their customer management system (CRM) without their senior sales manager giving input.Sales forecasts are unfiltered human data based on metrics (hopefully) supplied by positive business professionals, which need to be smoothed by the active sales manager who understands the personal nuances and selling capabilities of each sales team member. Salespeople just guess.Some salespeople who just fill up the sales forecast with useless information to look busy. They don’t understand that sales is a premeditated process and their sales cycle must be managed. Management has no metrics on determining what each sales step represents quantitatively, no written process of what a qualified sales step is, nor guidelines on what should be included in a forecast.Often management does not understand the intricacies of setting up and managing sales forecasts. Their lack of leadership just confuses and at times alienates the sales team when forecasts are requested.It is easy to blame salespeople for inaccurate sales forecasts, but if management does not set down specific criteria for defining what a qualified lead is and is not, then inaccurate sales forecasts are not the fault of the sales team. Salespeople insert data into their customer management system weekly instead of daily.Sales forecasts are snapshots of time that change constantly. Prospects rapidly move from being qualified to not being qualified based on new management decisions as well as national economic changes. 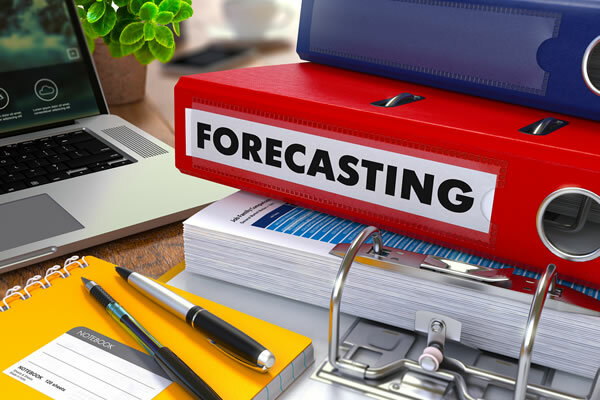 Due to this volatile nature of decision making by prospects, sales forecasts must be updated continuously. Salespeople premeditatedly exaggerate the sales forecasts opportunities to look busy.Sales forecasts are visible reflections of sales team members’ activity. Some salespeople outright misrepresent their sales forecasts (or hide deals often called bluebirds) to management so they can maximize their commissions by bundling deals for higher commission payouts at the end of the year or end of the quarter. Management does not link accurate forecasts to company objectives (i.e., bench utilization goals, marketing budgets, capital investments, etc. ).Sales forecasts are not secular data reviewed once a week in a sales meeting. It is a living, breathing business tool that must be managed proactively and linked to all other department actions, investments, and team staffing and implementation goals. To increase your revenue — manage your sales forecast like it’s the amount of cash you have in your checking account. Know exactly what is in your account and run your business by it.